Independent family company, Walker’s Nonsuch celebrate their 125th anniversary of world-renowned toffee making. From humble beginnings in 1894, Walker’s Nonsuch is one of England’s finest and oldest makers of traditional toffee. At the heart of the family company lies quality and passion for just good ingredients like whole milk and butter. 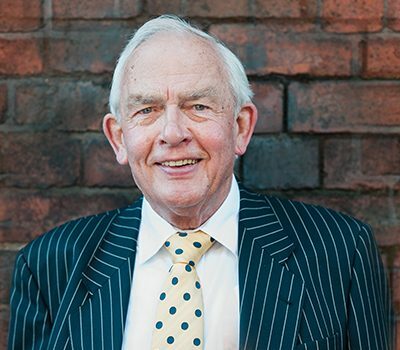 Now with fifth generation family members, the company remain committed in following Founder, Edward Joseph’s footsteps, whilst retaining good business values and a true love for their products. Former potter, Edward Joseph opened a sweet shop with his sister Florence in 1894 and began making toffee. It was such a success, Edward decided to open a small factory. Little did he know his toffee would be enjoyed in over fifty countries worldwide today. In 1915, Edward enrolled his son, Edward Victor, and together they made delicious toffee with the original recipe. Walker’s Nonsuch had been established and later became a limited liability company in 1922.
Business had flourished, however tough times lay ahead with the onset of World War 2. Edward Victor had to restrict production due to difficulty in sourcing ingredients; hence the era of sweet rationing began. Nevertheless, England’s finest toffee makers didn’t stop there. Restrictions were lifted and Edward Victor endeavoured to grow the business once again, eventually moving to a larger factory. The new factory had previously belonged to Horleston Brothers Ltd, who were boiled sweet manufacturers. 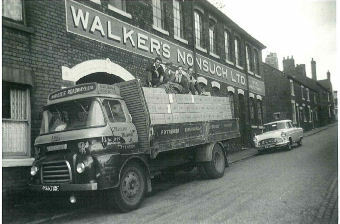 Walker’s Nonsuch bought the company in 1947, along with Siddalls Blue Churn Confectionery later in 1961. This factory remains the home of Walker’s Nonsuch today on Calverley Street, Longton, Stoke on Trent. Global demand led Ian and his fellow toffee makers to exhibit at ISM in Cologne, Germany, in 1971. Since then the company has attended every year. Today the Managing Director is Adrian Hill. Having worked alongside Ian for 32 years, Adrian has an abundance of knowledge and is eager to grow the family business. Great for giving and perfect for sharing, the range includes toffee bars, 14 varieties of twist wrapped toffees and chocolate eclairs in different packaging formats, along with a unique hammer pack range. The latest varieties include Salted Caramel and Double Dipped Chocolate Toffees. BRC Accredited and vegetarian friendly, Walker’s Nonsuch Toffee is free from artificial colours, hydrogenated vegetable oils and gluten too. 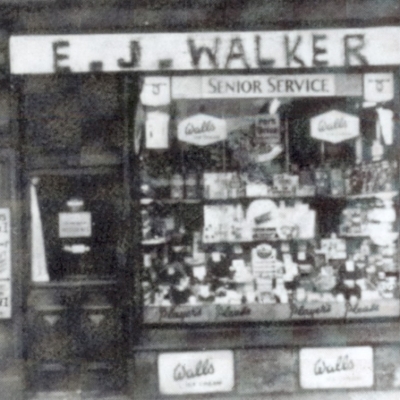 With quality still at the forefront 125 years on Walker’s continue to make quality toffee. Just like Edward Joseph, the Walker family understand the importance of staying true to their quality and listening to customers. Expert teams in the factory are all part of the Walker’s Nonsuch family and are dedicated to delivering world famous toffee. Walker’s Nonsuch will commemorate this momentous occasion with a series of monthly events throughout 2019, from celebrating with customers worldwide, consumer competitions to local charity events.